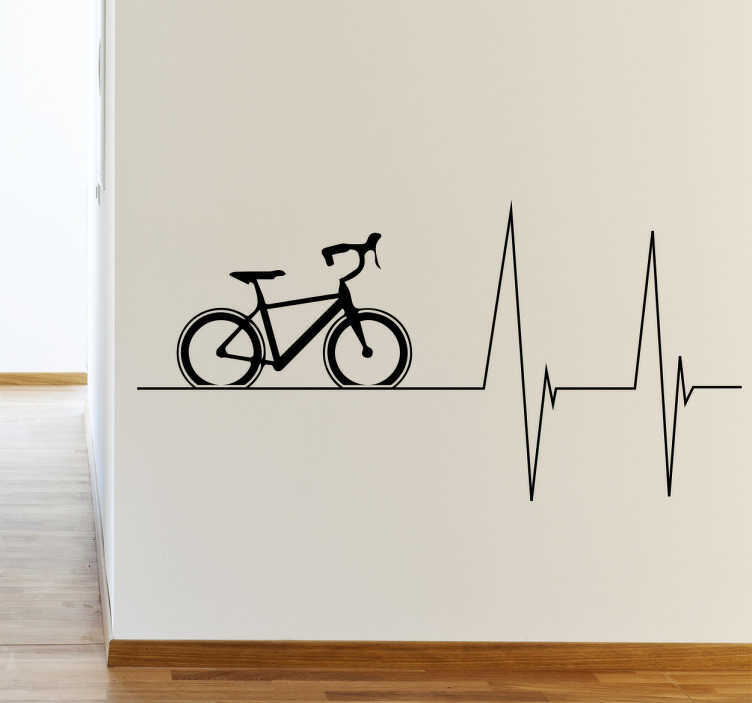 A wall sticker of a bike with a heartbeat line. A nice wall decoration for cyclists who feel their heart rate increasing the faster they ride their bike. Show everyone that cycling is your passion with this removable wall sticker. This is a great wall decoration for your home, office or business. This sticker is available in a variety of sizes and colours for you to choose from.